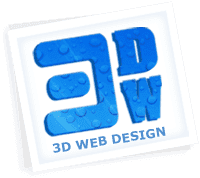 Here is published short list with 3D Web Design clients. In this list are names like Intel, Microsoft, Hewlett-Packard and D-Link, Joomla developers like CorePHP and GavickPro, several dozen WebDesign companies and online Medias, about thirty SEO and internet marketing agencies and some number hosting companies. This list is not with clients for websites, list is only with companies and firms ordered link building or some seo service (about 15% from list) or some of developed from us extensions (about 85% from list). For this reason I post list in PHP category - the majority of these customers are precisely those of our services. This list is only with customers that are specified the name of your company and have used in your order company email, for example some_name@ intel.com. List is copy-paste, so there may be inaccuracies in the spelling of the name of a company. Since the list is not from ten or twenty companies and I do not have much free time, I can't add here beautiful and tidy logos of companies. I apologize if anyone is affected of this. I apologize if I forgot to add a some company to list - it's was too big and I just pulled it a part. We are proud with our customers. If you are an existing customer and You wish to present here, please contact me by email which you placed in your order and we will add You. If you find yourself on the list and do not want to attend it, or do you want your company name link to your site, just email us. Don't forget to check our partners page - here are posted coupon codes for discount for products of many other companies - joomla developers. NATO (Allied Command Transformation - act.nato.int). Pulsar Web Works LLC - pulsarwebworks.com. Atcomm Enterprises Pty. Ltd. - www.atcomm.com.au. Deep Ripples, Inc. - deepripples.com. The Docks Agenzia di comunicatione. Defected Pty Ltd - The Defectors. I LOVE 2 Web Solutions. Info Madrid Comunicacion y Prensa. ABN NEWS BRAZILIAN NEWS AGENCY. Shop 1 Bay Village Bateau Bay. Cong ty CP Thiet Ke VINA. Press Medien GmbH & Co. KG. Greiner marketing + consulting GmbH. Regalos NCO online, S.L. C.I.F. : B86187556. Flixx - Web & Vormgeving. Arte e Informatica di Stefania Tamberlani. Regional Anti-Corruption Initiative - Secretariat.